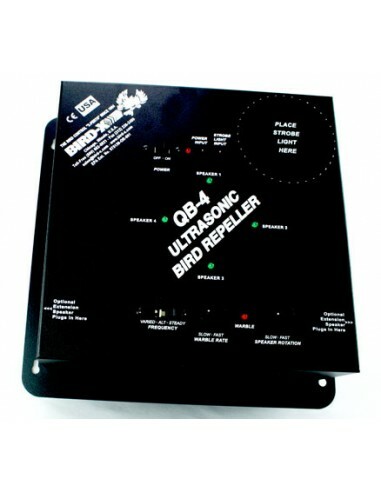 Bird-X introduces QB-4 bird repeller, the newest, most powerful ultrasonic weapon ever available in the war against pest birds. The new Bird-X QB-4 uses solid-state electronic circuitry to produce harsh, but harmless, UHF sound waves. These sound waves are targeted at overhead bird infestations. Their frequencies are above the human hearing range, so most people are not even aware of them. The QB-4 plugs into any convenient 110v AC outlet and uses less current than a 10 watt bulb, costing only pennies a day to operate. * Ultrasonic repeller ? sound waves that humans can't hear, but birds hate! Warehouses, plants, factories, hangars, railroad sidings, boat houses, tunnels, underpasses, breezeways, sports arenas & convention centers, barns, sheds, storage buildings, loading docks, parking garages, car washes, etc. 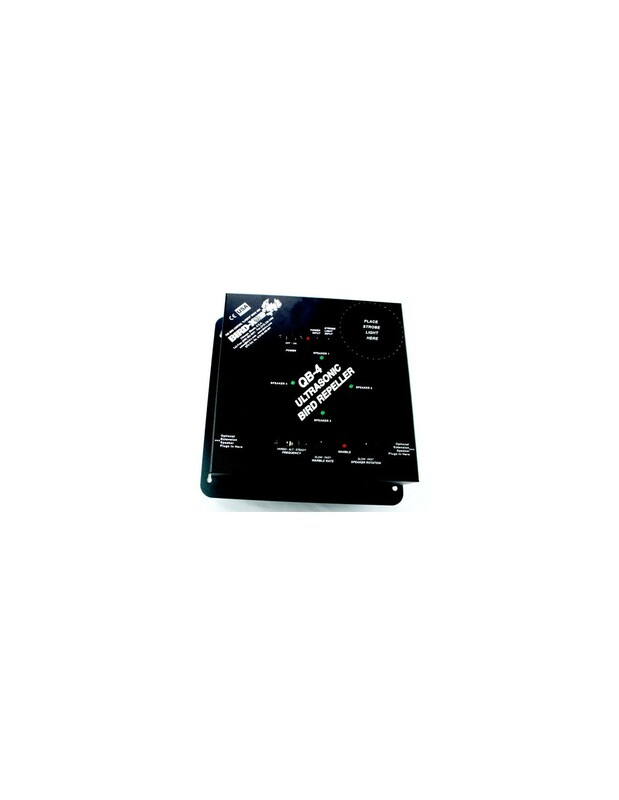 Dimensions: QB-4 12" x 12" x 4"
Dimensions: QB-4 12? x 12? x 4?